Make sure your little ones have a blast this St. Patrick’s Day by bringing them to participate in one of these entertaining events! 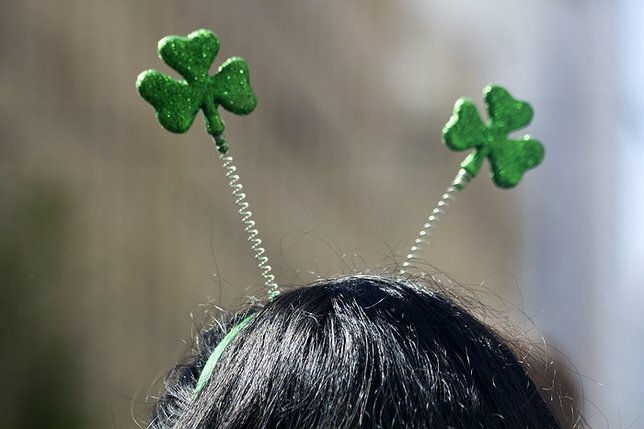 Let the kids have some St. Patrick’s Day themed fun at one of these events taking place on Long Island! Photo by: Quinn Dombrowski via Flickr. St. Patrick’s Day isn’t just a fun holiday for adults, it’s a fun holiday for kids too! From making thematic crafts, to eating traditional Irish dishes, there are lots of different upcoming scheduled activities that will not only be amusing, but also educational! While they’re busy having all of this St. Patrick’s Day fun, they’re also learning about Irish history and culture, all at the same time! Here are some magical events for your kids to look forward to participating in this month and next! St. Patrick's Day Fun: Chocolate Covered Shamrock at Connetquot Public Library - FREE! Create a delicious shamrock shaped rice crispy treat, coated with green chocolate and sprinkles, at the Connetquot Public Library! Enjoy a performance of Irish dancing by teachers and students from the Mulvihill-Lynch Studio of Irish Dance! There will also be questions and the teaching of some Irish dance steps to the kids. St. Patrick's Day Decorations: Lucky Leprechaun at Connetquot Public Library - FREE! Make your very own life-sized leprechaun using creative paper folding techniques, and decorate them with lucky charms, at this event for kids in kindergarten through 5th grade! Young mateys, ages 6 years old to 2 years old, are invited to learn about Irish Pirates from the past who ruled the seas, and design their own Jolly Roger to bring home. Children ages 2 - 12 are welcome to visit the Maritime Explorium and take part in the Leprechaun Trap making activity! Afterwards, stick around and explore! Children, age 12 and under, are welcome to participate in the Little Leprechauns 1K Fun Run. All fun run participants will receive an award! Let you kids "Go for the Green" the weekend of St. Patrick’s Day by signing them up for the 1 mile Fun Run during the Rotary Club of Smithtown's 23rd Annual St. Patrick's Day 5K Run! Recommended for ages 4 and up, Under the Night Sky follows three children on journeys united by threads of courage, love and hope. And one of those stories, is about the magical tale of an Irish Memory Quilt. Subject: LongIsland.com - Your Name sent you Article details of "Laughing Leprechauns & Clever Clovers: St. Patrick's Day 2016 Events Perfect for Kids"